Robert W. Russell, Hay Island, Admiralty Islands. died on April 1, 2011 IN Lancaster PA. (1924–2011) was an American author, wrestler and professor of literature. He is a member of the National Wrestling Hall of Fame. 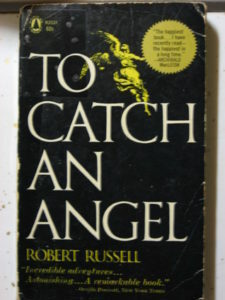 His several books include the bestselling memoir To Catch an Angel: Adventures in a World I Cannot See (1962); he was blind for most of his life. After receiving his B.Lit. 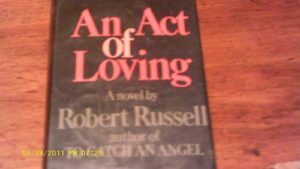 from Oxford University in 1951, Russell taught first at Shimer College (which had not yet instituted its Oxford program. He subsequently taught at Franklin & Marshall College until his retirement in 1990. At Franklin & Marshall, he chaired the English department for several years and served as Charles A. Dana Professor of English. We owe a deep appreciation to Bob Russell for capturing his island life on Hay Island in his marvelous book, “The Island”. He was “Bob” to his adult friends and professional colleagues, “Rob” to his family. 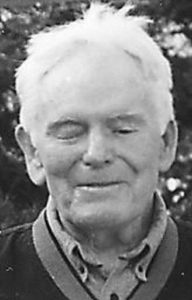 Bob graduated in 1940 from the New York Institute for the Blind at age 16. He attended Hamilton College for two years, and later transferred to Yale, where he completed his B.A. in 1944. During those two years he competed for Yale on the varsity wrestling squad. Yale awarded him an M.A. in English in 1945. Two successive Rotarian Scholarships supported him as he began his work toward a B. Lit degree at Oxford University. He received the degree in 1951. It was at Oxford University where he met his future wife, Elisabeth D. Shaw, sister of Robert Shaw the Actor as she was also completing a graduate degree. The whole Russell family has made a difference in the region. Their compound on Hay Island is special and it was Bob who encouraged each member of the family to make the islands their real home. His was a life we can all celebrate.